ABA is a clean fuel with 30x the energy density of lithium batteries, requires no oxygen, produces no emissions, and reacts at low temperature. It was showcased in a portable 3kW generator built for the Marines. We are currently developing with Lincoln Labs a compact energy dense power system for dismounted soldiers. 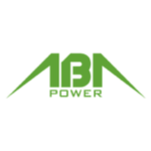 ABA has the advantages of both batteries and generators without the disadvantages, it’s energy dense, provides clean, quiet and safe power in a small convenient portable package. Advanced Silicon Group (ASG) was formed in 2015 to commercialize silicon nanotechnology co-developed by ASG employees. The applications for this technology include photovoltaics, Li-ion batteries, microfluidics, MEMS, and more. ASG will work with you to improve your company's performance and reduce costs by helping you incorporate silicon nanowire arrays into your products. 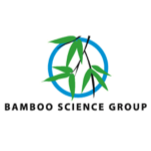 The focus of Bamboo Science Group is to develop sustainable bamboo charcoal technology for air and water purification. The high surface area charcoal filter adsorbs any air or water impurities. We have developed our first minimum, viable commercial product using the bamboo charcoal as a water purification filter in a pitcher application. The next product we are developing is solar powered bamboo charcoal air purifier where we use a solar panel to run a fan across a filter bed to purify air. Blackburn Energy aims to create zero emissions renewable electricity from the wasted kinetic energy of moving objects. In long haul trucking that means saving 1.2 Billion gallons of diesel and 11 million tons of annual CO2 emissions that results from trucks idling their engines while parked during overnight stays. Bonzer is a one way car trip sharing company using mini electric vehicles focusing on last mile trip. As a one-way trip car sharing solution, based on modern and mini electric cars distributed in charging/parking stations throughout the area, BONZER aims to help, to facilitate and to provide one more alternative solution in the transportation ecosystem. The smaller the renewable energy project, the harder it is to provide project financing. The opportunity is that the market of smaller projects is growing. SE International addresses this by: • Providing a one stop shop for project sponsors, everything from assessments, to engineering, and even capital raising. • Reducing the upfront cash flow problems that small projects run into. • And, we want to create an online platform for finding projects - think RedFin or street easy for renewables. Delta Dewatering had developed a completely new approach to rapidly separating solids from water. Our technology addresses specific industry needs within a mobile, cost effective, and safe platform. Our technology can receive high volumes of dirty water, clean it to EPA standards for discharge, then compact the solids to a point that meets or exceeds low cost disposal requirements. This is important because current technology is very big, very slow, or very expensive. E-Green is developing smart lights/fixtures using patent-pending beam steering technology. This technology brings in a new lighting paradigm in which surgeons can freely control the light beam without assistants or touching buttons by using hand gestures, or retail users can wirelessly configure the illumination to the merchandise with mobile devices, or residential users can steer light beams at will to their comfortable spots to read or work, machinists can steer light beam instead of lamps. Transportation consumes more non-renewable fuel than any other market sector. Government actions are spurring the demand for new transportation innovations. EkoStinger is an innovative-patented Two-Part, Active Aerodynamic mileage enhancement system consisting of an undercarriage Arrow Unit, which moves in conjunction with the rear wheel tandem, and an undercarriage Cross-Member Cover, which enhances airflow while contributing to the protection and increased life expectancy of the trailer. Sophisticated financial modeling is lacking in the CHP industry, as a result many projects do not deliver the results promised, while others are simply not initiated because projections do not take in all sources of savings. 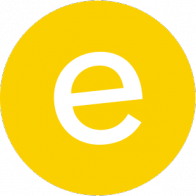 The "Empower Visibility" platform has a level of sophistication that takes into account the factors that current models do not. It will be available for any company to utilize and is not limited to strictly CHP projects. EnergySage is on a mission to make going solar as easy as booking a flight online. Everyday there are millions of Americans shopping for solar, and thousands of solar providers looking for well-qualified customers. Yet buying and selling solar remains as inefficient, confusing and costly as ever. There hasn’t been a simple, online marketplace for both parties to meet and interact with one another – until now. Our innovative, yet simple solution has already won the support and backing of the U.S. Department of Energy, New York State Energy Research & Development Authority, Connecticut Green Bank, and Massachusetts Clean Energy Center. We’re in over 30 states now, and we’re growing fast! The US residential market for energy efficiency products and services, including LED lighting, solar hot water systems, and electric storage, is estimated to be over $100 billion. The average home needs $15,000 of energy efficiency upgrades. We will provide an in home electric meter to provide energy consumption data, educate the consumer to their energy investment opportunities, finance their upgrades, and deliver the upgrades through our network of local service providers. 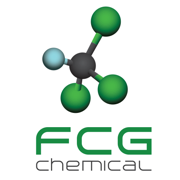 FCG is developing the potential to neutralize and potentially harvest useable feedstock gas product from fossil fuel power plants. We are utilizing a base technology and process that is currently available and optimizing the reaction chamber to become adaptable to existing fossil plants and industrial greenhouse gas emitters. We will be scaling up to commercial size units and working with government and utility partners to develop componentry that will bolt onto existing power plants. F.E. Wood has 130 years of experience in the Maine forest products industry, and has developed a shovel-ready project to supply high quality wood pellet fuel to the growing renewable heating market in the Northeast. Our project will create 20 high paying jobs in rural Maine, create demand for wood in a region that is in desperate need after paper mill closures, and provide homeowners, schools and businesses with a path to get off fossil fuels, while supporting their local economy. A WTE small-scale waste combustor - catalyst for collection/recycling solution and substitute for landfill for smaller cities/regional areas in developing countries; For MRFs in US, our unit used to destroy "fluff" onsite, avoid landfill and transport. Unlike traditional incineration ($$$ million cost, immobile, lots of ash, dirty air), our production-ready mobile combustor travels by truck/boat to waste (low ash, & clean scrubbed air). Can annually destroy up to 7000 tons & produce 700,000 kW. GreenBlu purifies and desalinates water using low cost solar distillation with breakthrough efficiency to alleviate the dual water crises of quantity and quality. GreenBlu triples water distillation energy efficiency without membranes by combining three proprietary technologies: an efficient adsorption cycle, a nanomaterial composite, and a new solar collector into an off-grid shipping container module. Our distiller sustainably removes salts, metals, and pollutants and scales to any size. Helix Power is a development stage company introducing the next generation of flywheels for grid scale power management. Initial focus is to recycle regenerated braking energy on the NY City and Boston metro systems for better fuel efficiency, emissions and total cost. We were awarded $2.5M from NYSERDA to build the first flywheel. We are now seeking $5.5M matching funding. Matt Lazarewicz, Helix Power's President, has BS, MS, and MBA degrees from MIT. He is a 15-year veteran in Energy Storage. MicroEra Power is a system integrator of novel, ultra-efficient distributed generation systems enabling commercial customers to save 50% on energy bills, while improving grid reliability, integrating renewables, and reducing carbon emissions. Our CTO has 40 patents and 30 years’ experience in automotive powertrain and fuel cell systems. Our systems are scalable globally, and relevant in the U.S. based on low cost natural gas, renewable mandates, low emissions and unexploited CHP potential. We are an advanced materials company that makes Microbial Fuel Cells, a platform technology that cleans wastewater and desalinates seawater while generating energy. Wastewater treatment aeration alone uses 2% of global energy - a big sustainability and economic issue. This well-studied technology has been stymied by the inability to produce the advanced materials needed to scale the tech. We have changed that. Our high-speed manufacturing will bring MFC's to market - the first in the world. MOVE Systems is focused on modernizing the mobile food industry by providing a healthier, safer, and environmentally friendly food cart. Additionally, through its subsidiary Simply Grid, MOVE is working with the FDNY and major hospital systems to reduce carbon emissions and cut energy costs for their mobile fleets. We have become part of our nation's economic fabric by promoting entrepreneurship, supporting the veterans of our armed services, and manufacturing locally, all the while being a steward of the environmental sustainability movement within the world of Mobile Food and urban life. Next Wave Motors, LLC has developed a modular fossil-fuel to electric conversion kit to retrofit various makes and models of motorcycles of various configurations, from bare-bones for those with more advanced hands-on skills and tools, to full conversion packages for those simply wishing to have access to an affordable electric vehicle. Nu Ecological Engineering and Design specializes in the engineering and design of aesthetic onsite wastewater treatment systems compatible with campuses, developments and sensitive locations. Our systems make use of plants and natural processes to achieve robust treatment and high quality effluent while minimizing energy use, maintenance and biosolids disposal. P is strategically poised to enter the materials industry with its high-performance citrus-derived biopolymer, Citrene™. Poly6’s most significant contributions to clean energy will be (1) catalyzing a global shift among materials producers to new materials chemistries, which offer 1-2 order of magnitude improvements in GHG emission, and (2) equipping developers of novel advanced material systems with Citrene™ as a much-needed synthetic tool for creating of novel advanced materials technologies. Proper Pipe's innovative joint design provides a Non-Destructive Test (NDT) to the piping industry that can be performed in seconds at time of install. It reduces the time, effort, liability and logistics of installing and pressure testing a pipe system. Because our test is non-intrusive, we can test the integrity of the joint at time of installation and while the pipe is still in service, providing huge amounts of savings to customers while keeping our environment clean and safe. PSM makes it simple for you to achieve competitive financial returns and an immediate social impact by investing directly in high-impact solar projects carefully selected, managed, and co-invested in by PSM’s trusted team of solar experts. PV Pure has developed knowledge-based design; control and maintenance methods to make small scale distributed solar powered water purification systems technically and economically feasible. This technology has been shown to be able to drive down the cost of producing high-quality drinking water by the end-users using solar power at a cost that is a typically less than 10% of the price charged by commercial producers. Founded in 2011, Save Energy Systems provides small to medium-size commercial facilities with automated, intelligent control and optimization of heating, ventilation and air conditioning systems (HVAC). Many of the features found in more expensive building energy management systems (BEMS) are incorporated into our system – at a fraction of the cost. SHAREnergy is a clean-tech initiative that engages buildings, stores and homeowners to reduce energy consumption in NYC. Energy savings achieved through awareness campaigns are used to finance solar products for communities living off-grid in villages of Colombia and Nepal. Anyone that uses or consume energy will have the opportunity to reduce and share, because "every second of saved power counts". Wal-Mart is the leading commercial installer of solar energy in the US. SolarKal helps the rest of the market (5.6mm businesses) adopt solar energy. Using a brokerage/agency model, SolarKal represents commercial & industrial businesses, handling the solar RFP, price negotiation and project management process. Today, this process costs businesses too much time, causing many to abandon the adoption of solar. The process also creates substantial customer acquisition costs for installers. SparkCharge is a clean tech, clean energy startup on a mission to end range anxiety. We have developed a portable charging station that allows electric vehicle owners to charge their car anywhere they want and whenever they want. Our product allows them to charge their car in under five minutes and gives them the option to choose how much portable battery range they want to take with them. 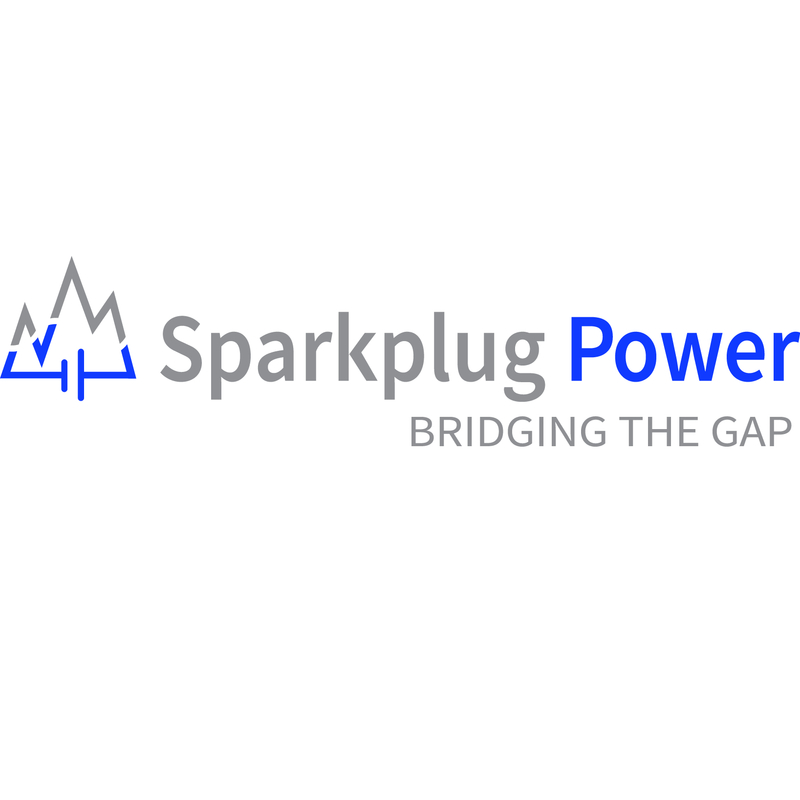 Sparkplug Power makes the grid better for municipal utilities and commercial power customers by deploying energy storage to the Grid Edge and managing our customers’ peak power demand. This reduces Demand Charges and peak transmission costs, improves reliability and reduces overall grid emissions at peak periods by allowing greater renewable energy integration. We integrate software, hardware and provide functional expertise for our customers in energy storage and electric power management. For long time, solar power means complicated and expensive generation system for rooftop owners, who want to save on electricity bills through clean energy. Until one day, SUN ISLAND online platform integrates global solar system suppliers and local installation resources together. Because of this online platform, global manufactures sell to end markets faster; developers procure and compare system components easier; and rooftop owners, as end-customers, install their solar systems cheaper. The vast majority of existing dams in the U.S. don't produce electricity. The untapped potential is huge. By utilizing innovative & proprietary technology, Surge Hydro will create economically viable solutions; electrifying our nations idle infrastructure. We currently own and operate five hydroelectric dams. By utilizing these assets as a working laboratory, we will stimulate and inspire the creation of hydropower solutions across New England. Today, commercial providers of heating oil and propane estimate tank levels using industry-standard calculations based on the weather. Tank Utility is a smart metering platform that enables these companies to increase profit, provide better service, and increase retention by improving the overall customer experience. The Tank Utility solution combines a low-cost, easy-to-install, wireless tank monitor with secure mobile and web applications that provide real-time status, usage data, pricing, and transaction processing. Globally, 1.2 billion people lack access to electricity and existing solutions are constrained by high cost and limited scalability. uLink is a smart device that has power routing, payments and resource management capabilities which enable low cost, quickly deployable and easily scalable microgrids. We tap into the $3.1 billion market of underserved communities by selling uLink to energy service providers and generate recurring revenue through fees for electricity traded on uLink platform. Wicked Scientific allows you to view your water consumption (hot and cold) in real time, while providing suggestions and alerts. With the realization of how much water you consume, we can help you use less. We have created a non-invasive sensor that transmits water consumption to be analyzed in real-time. Our algorithms will evaluate and inform you of trends, alerts (e.g., water leaks), while providing helpful insight. Our solution may be used anywhere there is water flowing through a pipe.